9th February 2017 | filed under Aesthetic Treatments, Surgical. Liposuction is a surgical procedure that removes fatty deposits through the use of a vacuum and cannulae (and helps you achieve the body you ever wanted). Some common treatment areas include the chin, the hips, the abdomen, and the knees. But did you know there are some less common areas that can be treated through liposuction? The arms typically heal fast after a liposuction procedure. When performed on the arms, liposuction can truly help the body look and feel proportionate, and helps in make you feel more comfortable with yourself. With summer coming around, wearing short sleeved shirts shouldn’t be a pain – liposuction can sculpt your arms and let you wear any top you want. As areas in which people tend to store fat naturally, gravity makes your arms drop and get loose. As the years go by, and if nothing is done, this only gets worse and eventually the result might be beyond repairing. Taking care of your arms before the skin gets too loose will give you great results. Certain areas of the body can show your age faster than others, and your neck is a great example. As you gain weight, this area tends to droop and leave you with what it’s called a ‘double chin’. Liposuction of the area removes this fat deposit and gives your neck more definition. Having a long and elegant neck is also associated with youth, and sometimes genetics don’t help and result in a double chin. 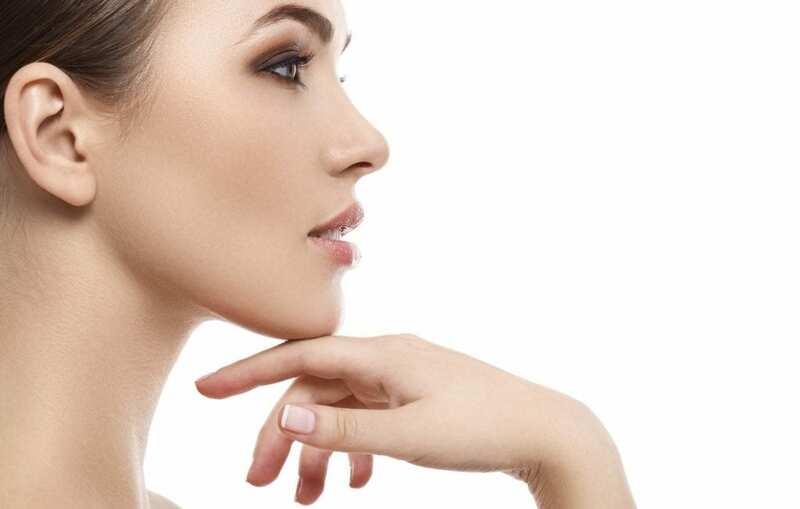 Through liposuction, you will easily achieve a beautiful and graceful neck. Men can have an abnormal breast tissue growth caused by hormonal imbalances, called gynecomastia. Although completely benign, this condition can sometimes have an impact on men’s confidence and self-esteem. Easily treated, a light liposuction of the area can remove this excess of breast tissue. Adding definition to the chest has a positive effect and the changes are seen straight away. Having slim ankles is a dream for many women, but thick ankles can be hereditary. You might think that there is no treating it or that you will need a lot of localised exercise, but liposuction can make a big difference. You don’t need to hide your legs! Simply give our expert team a call and book your consultation to know what treatment is best for you. Our team is trained to be compassionate and professional, and no matter who you are, you are guaranteed the best possible service. Get in touch with us to discuss your treatment options! We’re always happy to help. You can also find us on Facebook, Twitter, Google+, and Instagram to see our latest news and updates.